Contents: Introduction: Mayan astrology for modern times; List of figures. Comment: Scofield & Orr (and others) have taken the various parts of Mayan timekeeping, and by assigning symbolic values to the various parts, spun them into an astrological system. This is similar to how western astrology assigns value to the 12 signs of the zodiac, or the pandits of India assigned values to the 27 lunar Nakshatras. But not quite. In western parlance, we describe a birth in two distinct ways: 8:15 AM PDT, June 1, 1973, Los Angeles, and as Cancer rising, Sun & Moon in Gemini, etc. (No, that's not me, or anyone I know.) In India, there are the ascendant, Sun, Moon, Nakshatra & Navamsa, in addition to tithi, karana & yogi. In other words, civil time as well as its symbolic conversion. With the Mayan calendar, we have only one. It might be that they only had a single, unified system. At various points in the book, Scofield & Orr mention that Mayan culture, its arts & science, is still being passed orally from one generation to another. If what K.N. Rao has overheard in railway carriages in India is any indication, there is a great deal of Mayan culture that still exists, but has not yet come to light. In this regard, while I have zero knowledge of this area, I was struck by the absence of Augustus Le Plongeon's works in the bibliography. The Mayan astro-calendar, as we understand it, amounts to a way of identifying discreet blocks of time, much as we talk of days, weeks, months & years. This book attempts to convert day-signs, Trecenas, Lord of the Night, Tuns & Katuns (etc.) into natal charts. Yet, in the west, natal charts did not come to dominate astrology until people wore time on their wrists, or found it conveniently placed in their pockets. Before then, horary and mundane dominated. I am curious if the same might not have been true of Mayan astrology as well. It seems to me that what Scofield & Orr are describing can easily be converted into a powerful mundane system. I am dancing around the main point, which is this: Until someone goes to Central America, and, like Le Plongeon a century ago - or like Robert Svoboda in India - spends years in the culture, assimilating some good part of it, we really won't know what sort of astrology was - and doubtless is still - practiced there. And even then, the first pioneer to emerge will likely bring us incomprehensible puzzles that only further research will decipher (I've tried reading Le Plongeon). Part of the problem is that a highly literate culture is trying to comprehend a culture that is now highly illiterate. I suspect that pictogram cultures, such as the Maya, may have been fundamentally illiterate. Literate & illiterate cultures are almost completely incompatible, which is why K.N. Rao knows so little about the one in his own midst. Mayan astrology, as presently understood, exists without direct reference to planetary movements. In this, it resembles Chinese astrology. If this is true, then Mayan astrology, like Chinese astrology, has presumably always been an oral tradition, right from the start. Bear & Company, 327 pages. Part 3: Mayan Astrology: The Mayan solar destiny reading, How to work up a Mayan astrology reading, Converting dates - Gregorian to Mayan, Elements of destiny, Tunben K'ak the 52 year Pleiadian cycle). Sources for further study, About the author. Comment: The author credits Jose Arguelles, Bruce Scofield, Ariel Spilsbury & Hunbatz Men for their inspiration. Uses the frozen Earth year called Haab, with the 260 day Tzolk'in. Describes the personality traits for each of the Sacred Suns & Sacred Numbers, brief explanation of the effects of each light pulse (13 day Mayan week). A useful introduction to a complex subject. Formerly titled, Mayan-Pleiadian Cosmology. Center of the Sun, 124 pages, wirebound. 8. Mars, eclipses, planetary periods & a zodiac: Mars, Jupiter & Saturn, Eclipses, The planets & the day-signs, A 13 sign zodiac. 11. The cycle of the 13 Katuns: Katuns: 1027 to 2012. Appendices: A. Day-signs & yearbear tables; B. Reconstructed Tonalamatl; C. Sun/Venus conjunctions. Footnotes, Index. It occurs to me the 20 named days of Mesoamerica have relation to various sequences of North American Indians. See Medicine Cards, by Sams & Carlson. One Reed Publications, 216 pages. The author has been so poorly served by his publisher that I think he should ask them to re-do his book. There is no table of contents, there is no index, there are no headers at the top of the page to tell us what chapter we are in, there are virtually no sub-heads to break up the flow of text. Consequently we open the book at random, we have no idea what we are reading. So we are forced back to the very beginning, and must discover the book one page at a time. So let's do that. The author makes a bad start in the Introduction by telling unrelated stories. A lot of authors waste ink like this, but in other books we can skip ahead and know what we are skipping into: First chapter, second, third, etc. In this book, we can't, because we don't even know if there are chapters, much less where they are. All we see is a running text. Page v, General Motors. Page vii, Neolithic shrine. Page ix, time that has meaning. Page xi, destruction as metaphors for the collective demand for transformation. - At which point we surmise the author has no point of view and is rambling. We turn pages, searching for Chapter 1. Before we find it, we find several pages of chartwheels. The first for December 21, 2012, Palenque, Mexico, which is the end of the Mayan calendar, more or less. Next,a bi-wheel for 3114 BC and 551 BC. Then a chart for 3114 BC (the start of the current Mayan calendar, by the way). Then a tri-wheel: 3114 BC, the same chart progressed to 1890, then a transit chart for 1890, these two dates referring to the Wounded Knee massacre. Next, another tri-wheel, 3114 BC, progressed to 551 BC, and then transit to 551 BC. Followed by a tri-wheel, 3114 BC, progressed to 2012, and then transits to 2012. And then the final chart, another tri-wheel: 3114 BC, progressed to 1398, transits to 1398. If we read the text very, very, very closely, we might discover why these charts are important. But in the meanwhile, we have discovered Chapter 1. 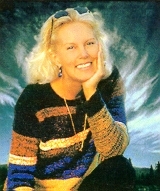 Chapter 1 introduces the traditional astrological ages. So we are to compare the Mayan long count to astrological ages, more or less. The long count is 5125 years (remember: No year zero! ), an astrological age is around 2200 years, so there's about two and a third astro ages in one long count. Lyons has a concept for the Ages, which is unusual, as most people simply ape the Piscean age we've just left. After a lengthy survey of astrological ages, Lyons gets down to business comparing the long count to the Age of Taurus. Which becomes an excuse for commentary on current events, c.2009, when the author was writing this book. 3114 BC gets mentioned as being Sumerian, which seems to have put an end to previous barbarities before introducing newly civilized ones (pg. 31). 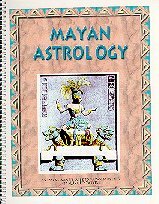 Chapter 2, Mayan and Western Astrologies, starts with a discussion of the Mayan calendar. This takes us to a discussion of the Septile, which, at 51 and a fraction degrees, relates to a 52 year Mayan time span. This leads to several pages of discussion about septiles and astrology. We then get much the same for the Quintile, of 72 degrees, which relates to the Mayan 72 year cycle. Page 49, we learn that septiles have to do with the individual and the collective, while the quintile is concerned with the inner self. Septile = outer, quintile = inner. At this point I was hoping Lyons would reveal a 52 or 72 year pattern to events, but instead the book rushes on to karma, cosmic law, and artifice. Which is followed by the Venus cycle, which produces 104 years (52 doubled). Other sections follow. Lyons brings up the 60 year Chinese cycle, which he says is based on no astronomical cycles at all. In fact, Chinese astrology is based on five cycles of Jupiter and two of Saturn, as any good Chinese scholar will tell you. Lyons is merely showing the thinness of his studies. This applies to who or what, precisely? The author seems blind to the horrific wars of the 20th century, not to mention the continued state of warfare that began in 2001. In books like this, what's coming is always worse that what has already happened, or you - and the author - won't be properly frightened. The final chapter, Chapter 5, The Next Long Count starts off by wondering if there will be another long count. Which I presume means the Mayans and their counts will disappear, or the sky will fall. Lyons struggles with interpretation going forward. I don't think his heart was in it. Or, well, maybe the publisher did such a poor job because they simply did not read the book.